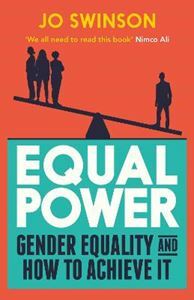 Quick overview A call to arms that challenges the persistent inequality of power between men and women. Why does power remain concentrated in the hands of men? And why do the problems of sexism sometimes feel just too big to solve? In this passionate call to arms, deputy leader of the Liberal Democrats and former Government Minister for Women Jo Swinson outlines the steps we can all take, large and small, to make our businesses, politics and culture truly gender equal. With clear and uncompromising analysis, Swinson shows the stark extent of the inequality around us, arguing that everyone - from students to CEOs - can work together to create a world of Equal Power.